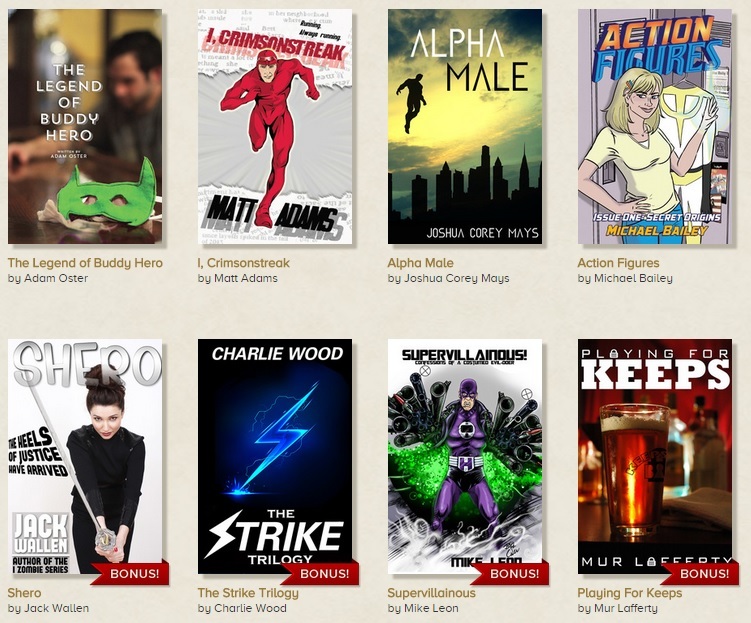 The New Superhero StoryBundle Is Live! I’ve mention this before, but now the StoryBundle Indie Superhero collection is available for purchase! Here’s how it works: you set the price you want to pay for the base bundle of four e-books (which includes Action Figures – Issue One: Secret Origins) and determine how much of the payment is shared with the writers. If you pay at least $12, you get four bonus books. This is a curated collection; every book has been read and personally selected by a member of the StroryBundle team, so you know you’re getting some good stuff here. Plus, you get to try out some titles you might not otherwise know about, AND support a group of independent authors.